I'm Angel. I'm passionate about fitness and get pleasure in helping people like YOU develop and succeed in your fitness goals. My skills, experience and personality distinguish my services from the ones provided by commercial gyms and trainers. Let me pass on to you the skills, mindset and drive to empower you to succeed on your own. Angel very professional trainer! He always motivated me and push me to do everything to achieve my goals! He is not just a awesome instructor , he also amazing person! I enjoyed working out with him! For sure he is the best trainer! I've trained with many trainers, in many cities, and Angel is by far one of the best. Academic achievements such as NASM certification are expected of a good trainer, but he also brings years of proven personal experience and success as a competitive athlete in team sports, martial arts and bodybuilding. His passion is anatomy, body mechanics, transformation and the use of stretching, balance and mobility for injury rehabilitation. He lives and breathes the lifestyle. But in my view, his biggest asset is the caring and nurturing approach that he brings. He is as invested in his clients' success as the clients are themselves. He truly cares about helping his clients to improve their lives and performance through exercise and lifestyle - whether he is working with performance athletes or ordinary people. 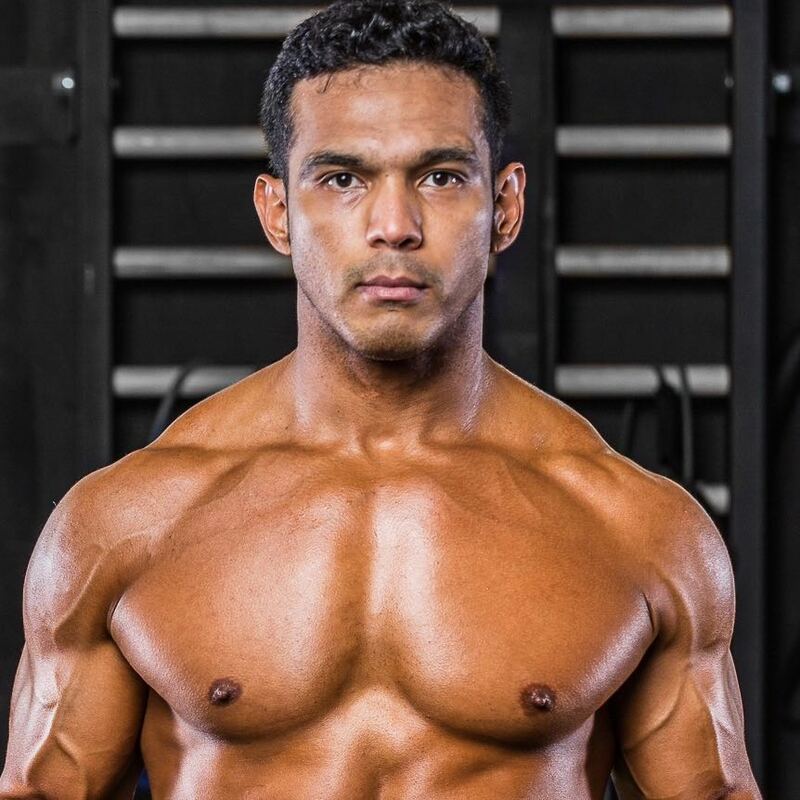 I've observed him with his clients and he is an ideal trainer for men and women of any age and brings just as much value for recreational clients as he does for professional athletes. I recommend Angel without reservation. Angel was my personal trainer until he moved to Dallas. During the time he trained me, I found him to be extremely professional, knowledgeable, and in-tune with his client's needs. Angel is very personable and a joy to work with. He is never on the clock and gives you his full attention. I strongly recommend him - you won't be disappointed! Angel is a great example of the benefits of personal training. I admire his great knowledge of the various types of exercises that are appropriate for each part of the body. I like Angel's exercise routine, because he varies them so I never get bored. Angel also created an excellent menu plan for me. I know I'm eating the right foods for optimizing my exercise program and for my health. I had the fortune of having Angel as my personal trainer when I lived in Miami, He helped me get my body back on track by encouraging me and providing the right exercise tips and diet for my type of body. I was stuck and I hadn't seen any progress for a long time, and it wasn't till he took me under his workout program that I finally saw what was doing wrong and what my body could actually do. Nowadays I'm very satisfied with the way my body looks and by everything I've learned from him. The best of the best! During the past 15 years I've had several trainers. Angel is the best trainer I've ever had. Why? Angel improved my overall fitness by monitoring my progress and helped me reach and maintain a healthy weight. He motivated me to develop a healthy lifestyle with an emphasis on robust activity. About six months ago I broke my wrist in two places. Angel was instrumental in my regaining the use of my hand and fingers, using a variety of exercises that enabled me to recover quickly. With Angel's help I was able to achieve goals that I never thought were possible. I recommend Angel highly! Angel is an outstanding master of his craft. He is incredibly bright with a treasure trove of health and fitness knowledge. An expert in weight training and yoga. His warm, spontaneous personality makes workouts fun. Angel is the real deal in an industry full of wannabes and the standard by which any trainer should be measured. His results with me in less than 6 weeks are amazing.